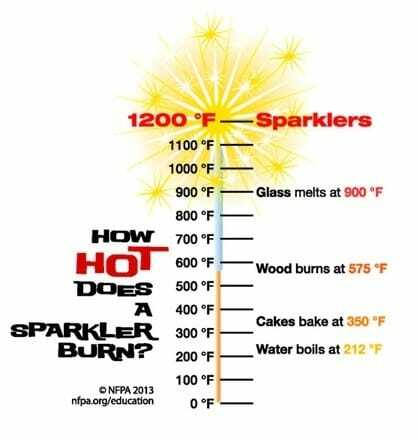 How hot does a sparkler get? Up to 1200 degrees! Be careful when using sparklers! The best way to protect your family is to not use any fireworks. Always have a bucket of water and/or a fire extinguisher nearby. Know how to operate the fire extinguisher properly.